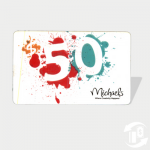 Plush, pillowy, colorful, this baby gift card is sure to delight new parents or grandparents. Target does seem to have a knack for designing delightful cards and this one is no exception. The cutout letters highlight the pillow look to such an extent that you are almost surprised at the feel of hard plastic when you pick it up. 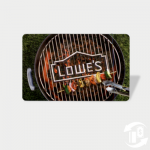 This adorable gift card is available now at Target in numerous denominations in physical or email format here.